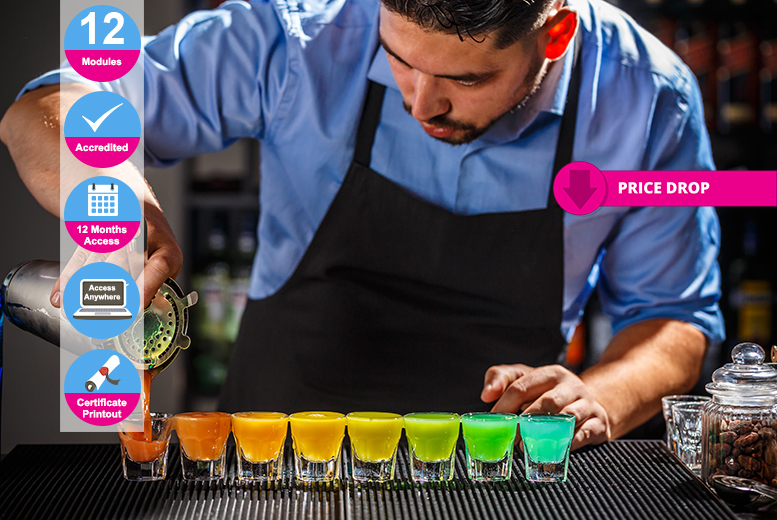 Start a career in bar management with the help of this online course! Accredited by the International Council for Online Educational Standards (ICOES). Five modules to help you run your bar smoothly! You’ll have 12 months to access the online materials*. And get a PDF certificate when you finish the course!